The Packers used both of their IR-return designations this season, and each player will end the year back on the injury list. Following Aaron Rodgers‘ one-game cameo, the Packers made the decision to place tackle Jason Spriggs back on IR as well. While Rodgers did not suffer a new injury, being sent back to IR because of Green Bay’s position in the NFC standings, Spriggs did and will miss the Packers’ Week 17 game against the Lions. Spriggs suffered a knee injury that required cart transportation against the Vikings. A hamstring malady sent him to IR in September. The Packers made Spriggs their first IR-return player this season, and the second-year tackle returned to action in November. The former second-round pick played in just seven games this season but made a career-high five starts for a Packers team ravaged by tackle injuries. Packers right tackle Jason Spriggs was carted off the field in Saturday night’s game against the Vikings after suffering an apparent left knee injury. It’s too early for a diagnosis, but Spriggs’ injury was serious enough to rule him out for the remainder of the game. 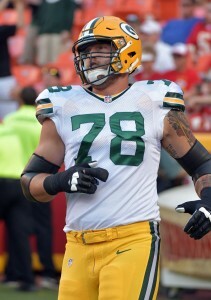 Spriggs could be the third member of the Packers placed on injured reserve in a matter of days. Earlier this week, quarterback Aaron Rodgers and cornerback Demetri Goodson were both benched for the year. It has been a frustrating season, who missed the bulk of the year with a hamstring issue. In his sixth game back from returning on IR, Spriggs may be headed right back. The Packers are out of playoff contention, so there’s little sense in Spriggs playing through the pain. Heading into tonight’s game, Spriggs rated as Pro Football Focus’ No. 66 tackle in the NFL out of 85 qualified players. The 2016 second-round pick is under contract with Green Bay through 2019. The Packers have the most interesting IR-DTR possibility in football, but while Aaron Rodgers‘ recovery continues, the team made the decision to use one of its injury-return spots on Thursday. Jason Spriggs returned to practice and is in line to come off IR, Rob Demovsky of ESPN.com reports. Spriggs went down in Week 1 with a hamstring malady and was placed on IR after Week 2. This is the first such move Green Bay’s committed to, with the Rodgers decision likely preventing any other Packer from joining Spriggs. Demovsky adds this will likely be the Packers’ last IR-boomerang move until they can get a full read on Rodgers, for whom they will presumably save their second IR-return spot. The Packers are holding out hope Rodgers can return from his broken collarbone, although the team will need to be in the playoff race for that to happen. Conflicting reports emerged out of Green Bay about a possible Rodgers re-emergence this season. Spriggs can return later this month for a Packers team that’s seen its tackle situation stabilize since the last time Spriggs was healthy. Both David Bakhtiari and Bryan Bulaga are healthy now, but the Packers’ situation is obviously far worse now that Rodgers is out. Green Bay drafted Spriggs in the second round out of Indiana in 2016. He started two games last season and played in Week 1 of his second campaign. 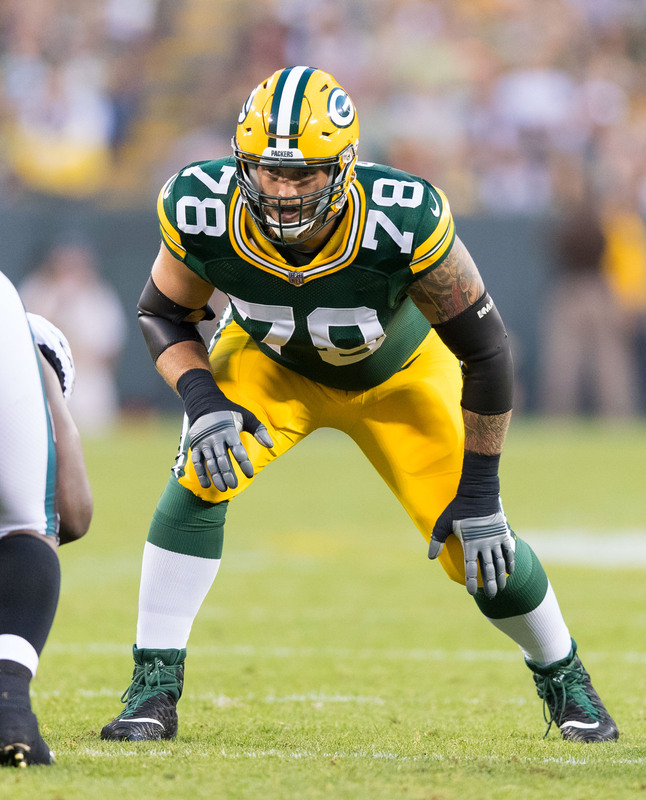 The Packers have placed offensive lineman Jason Spriggs on injured reserve, as Ian Rapoport of NFL.com tweets. Spriggs, a swing tackle, was held out of the Week 2 game with an injured hamstring. Apparently, that hammy is going to keep him out anywhere from eight weeks to the remainder of the season. The Packers made Spriggs a second-round pick in 2016 in part because of his versatility. The Indiana product allowed only one sack in his last three seasons on campus and also held his own at guard during Senior Bowl practices. His injury comes at an unfortunate time for Green Bay as starting tackles David Bakhtiari and Bryan Bulaga are both listed as questionable with injuries of their own. Putting Spriggs on IR will create room for the addition of Ricky Jean-Francois. After losing guard T.J. Lang in free agency, Packers coach Mike McCarthy says he’s not looking to move tackles Jason Spriggs or Bryan Bulaga to the inside, as Rob Demovsky of ESPN.com writes. Green Bay may have to look for replacements in the draft or in the late stages of free agency, but the team could also consider other internal options. 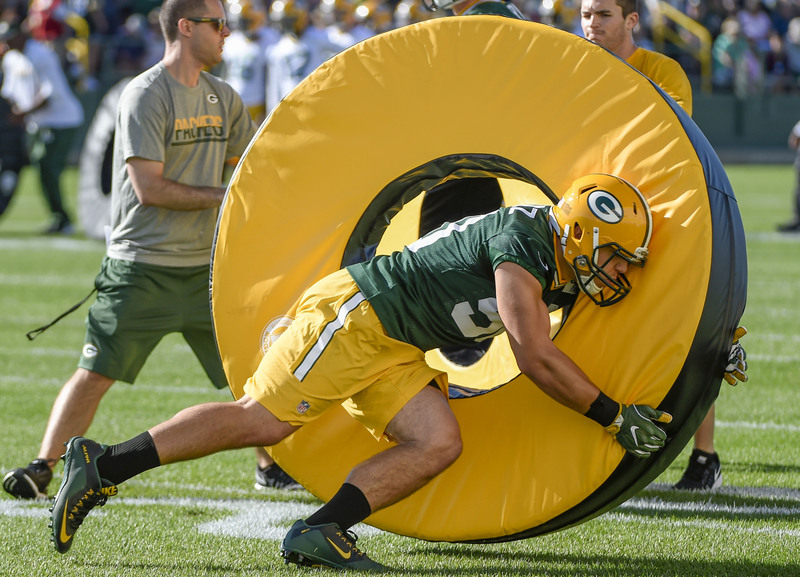 Rising sophomore Kyle Murphy played tackle in college, but he might be a better fit at guard, while the the Packers are also high on fellow second-year lineman Lucas Patrick. Veteran Don Barclay could be a “fallback option,” Demovsky writes, but he wouldn’t be a terribly exciting choice. While Packers general manager Ted Thompson admitted his club needs to bring in reinforcements at running back, he wouldn’t respond to recent report indicating Green Bay has interest in free agent Adrian Peterson. “We don’t talk about players that are not on our team,” Thompson said, per Demovsky. “We never have. We never will.” The Packers’ backfield depth chart is slim at the moment, as the only running backs on the roster are Ty Montgomery, Christine Michael, and Don Jackson. Green Bay is expected to wait until after the draft before assessing its options at running back. The Packers will likely wait until next offseason to work out an extension for quarterback Aaron Rodgers, and the club won’t let a looming Rodgers deal affect its decisions in the present, according to Ryan Wood of PackersNews.com. Earlier this month, Rodgers said Mike Glennon‘s contract with Chicago “has to” push up the top of the QB market, an indication that Rodgers might push for a new pact. Rodgers later walked his comments back, but Green Bay will likely carry over at least $10MM in cap space in an effort to save funds for Rodgers, per Wood. Defensive tackle Letroy Guion is set to serve a four-game ban for violating the league’s PED policy, and Thompson believes Guion’s situation “will work itself out,” reports Wood in a separate piece. Guion has already agreed to a restructured deal that delays his roster bonuses, but Green Bay could cut bait without incurring much dead money. The Packers would be able to recoup 4/17 of Guion’s signing bonus because he’s been suspended, meaning the club would take on fewer than $300K in dead money. Sometimes, even big men fly under the radar, as seems to be the case with this Bruins standout. Named his team’s MVP, he was a dominating force in the middle of the line, taking over starting duties as a sophomore. Well-respected by the staff and teammates, the co-captain preferred to not be in the limelight. However, NFL scouts saw him as a bright light on a dark night. In three seasons, Clark delivered 153 tackles with six sacks and 18.5 stops behind the line of scrimmage. In his two seasons as a starter, he delivered 117 of those tackles in run force, posted a total of 28 hits for losses (assists and solos) while bringing down twelve other ball carriers for no gain. Twenty-four of those stops came inside the red zone, including seven on goal-line stands. Clark has really come on strong in recognizing blocking schemes and it was rare to see him bite on misdirection or play action during his junior season. He has no problems taking plays from the chalkboard to the playing field, needing minimal reps to retain. He plays with very good awareness, taking advantage of his impressive arm length to keep blockers off his feet and legs. The UCLA product demonstrated that he picks up schemes quickly and he does well staying with the flow of the play to close on the ball. Clark has a very explosive initial step with quick feet, good athleticism and balance for his size, along with the body control and low pad level to come off the snap and get an immediate advantage versus a lethargic offensive lineman. He flashes a strong, consistent hand punch, enough to consistently put the blocker up on his heels, driving with good leverage walking that lineman back into the pocket. He has that initial burst needed on movement and the suddenness to gain advantage when engaging double teams. He has good initial quickness coming off the snap and for a player of his size, that burst can surprise an offensive lineman. Clark appears poised to show that he should have gone earlier than No. 27 in this year’s draft. Word out of Green Bay is that Clark will start at nose tackle in the base 3-4 and his skill set plus versatility will ensure that he sees plenty of time on the field as an NFL frosh. Continue reading about the Packers’ rookies.. The team might have hedged their bets on the offensive line jelling this year by taking Indiana’s Jason Spriggs in the second round. Injuries have always impacted the Packers front wall and Spriggs has obvious pedigree as a left tackle, having allowed just one sack for the pass-happy Hoosiers during his last three seasons in the lineup. He also showed impressive versatility for teams by playing well at Senior Bowl practices as a guard. Spriggs has a tall frame with minimal body fat, but will need to add at least 20-to-25 pounds of bulk to succeed at left tackle. Fortunately, he’s entering a situation in Green Bay where he is going to be brought along behind starters David Bakhtiari and Bryan Bulaga. Still, he’ll be seeing plenty of snaps in relief of both players and, in the event of an injury, Green Bay won’t hesitate to throw him into the fire. In pass protection, Spriggs demonstrates more than enough foot quickness to slide, good knee bend and hip flexibility, patience and a strong hand punch. He stays square and balanced when shuffling and sliding. Even when he gets over-extended, he is quick to recover, thanks to his above average athletic ability. The thing that separates him from others is his drop step/kick to gain depth and width needed to anchor. He struggled at times in 2014 with his kick slide (was playing with knee and neck injuries at the time), but made adjustments and, as the year progressed, he developed the balance and body control needed to make the reach blocks, use his change of direction agility to wall off and generate the foot quickness to recover. When it comes to run blocking, Spriggs has a bit of work to do, but the potential is certainly there. He has the power to move the pile and drives block with leverage, but could be exceptional here with more weight. The Packers rookie is a good in-line blocker, possessing a wide base as he runs his feet well. He also has the good footwork to stay on his feet on the move and can handle the switch-off well when working in combination with his guard (see 2015 Wake Forest, Rutgers, Michigan and Purdue games). When scouts see Martinez perform on the football field “old school” thoughts start going through their heads. While he may not be flashy, he plays with great aggression. He wasn’t the biggest “mike” guy in the draft, but when he attacks the inside gaps, he does so with authority. He is a lunch-pail toting, blue-collar level middle linebacker who has drawn comparisons to Nick Barnett and David Harris, two scrappy performers who played well above their athletic talent. Martinez is a compactly built athlete who might lack the bulk to shed vs. the bigger offensive lineman, but shows very good balance and body control, along with the ability to stay on his feet. He has a strong hand punch to shock and reroute short area receivers, partially compensating for the lack of long arm reach to keep defenders off his body. He has a good feel for plays in front of him and the quick outside range to string plays wide. This kid plays until the whistle and you will never see him throttle down when not involved in the play. He does a good job of making calls and no longer plays with the reckless abandon he showed at strong-side linebacker earlier in his career. The Packers recognize this and they already have him ticketed for big things on defense. As Rob Demovsky of ESPN.com noted recently, Martinez will start in the base 3-4 formation while also seeing time in other packages. The two-time captain will be relied upon as a leader, despite being one of the younger players in green and yellow on the field. The Packers have acquired the 48th overall pick from the Colts, reports Sam Farmer of the Los Angeles Times (on Twitter). In return, the Colts will get three choices this year from the Packers – a second-rounder (No. 57), fourth-rounder (No. 125) and seventh-rounder (No. 248) – according to Mike Chappell of FOX59 (Twitter link). 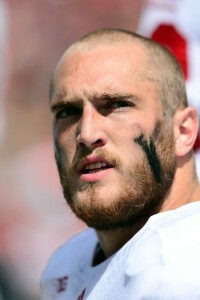 The Packers selected Indiana offensive tackle Jason Spriggs with their newly acquired pick. Spriggs started 46 games for Indiana and could be the long-term solution at left tackle for the Packers, whose current starter – David Bakhtiari – is a year away from free agency. General manager Ted Thompson isn’t one to give away draft picks, so moving multiple selections for Spriggs is a significant vote of confidence in the young lineman. 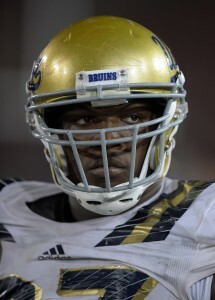 League insiders believe that as many as six offensive tackles could be selected in the first round of tonight’s draft, according to Tony Pauline of WalterFootball.com. Laremy Tunsil, Ronnie Stanley, Jack Conklin, and Taylor Decker are the obvious names, but Jason Spriggs, Le’Raven Clark, and Germain Ifedi are also candidates to go off the board tonight. The clubs that have put the most research into offensive tackles, per Pauline? The Colts, Packers, Seahawks, Broncos, Panthers, and Steelers. Among the teams hoping to trade down tonight are the Falcons, Colts, Vikings, and Jets, according to Pauline. On the other side of the coin, the Cardinals, Panthers, and Broncos may like to trade up. Denver, presumably, would be targeting a quarterback in a trade-up scenario. The Steelers will consider a cornerback at pick No. 25, but they’ll also look at offensive tackles, writes Pauline. Pittsburgh returns Alejandro Villanueva at tackle, and signed Ryan Harris this offseason, but an upgrade wouldn’t be out of the question. The Packers might also like to find a new left tackle, says Pauline, as Green Bay would like to transition incumbent David Bakhtiari to left guard. If pass rusher Noah Spence is still available at the end of the first round, a club might trade back up in order to draft him, per Pauline. The Buccaneers are one team to watch in such a situation.